Family law cases involve the things that matter most in life. Therefore, you don’t want to settle with just any ordinary Tampa divorce & family lawyer; you want an attorney who is not only experienced with handling divorces and family law matters, but one who will also have your family’s best interests in mind throughout the process. See our feature in the March 2017 edition of Tampa Magazine! We are solely focused on divorce and family law cases. Family law cases cut to the heart of what’s important in life. Like all important decisions in life, it is imperative that you be informed to make the best possible decision for you and your children. Doesn’t it make sense to hire an attorney that is certified by the Florida Bar in family law? In our experience, more than 90 percent of family law cases and divorces settle before trial. However, a big portion of these cases linger in court for months and even years while the two sides try to work through their legal issues. The traditional family law model depicts the two parties against each other as adversaries, with all communication handled through their lawyers. If you have ever played the “telephone game” as a kid, you know how quickly and easily messages become distorted, misunderstood, and even taken out of context. There is a place for contested divorce litigation. Sometimes, it is simply necessary. In those cases, we are always prepared to litigate aggressively and zealously for our clients, their children, and their interests. We work with men and women, parents, grandparents, caregivers, mothers and fathers , and members of the military who face a divorce. We are honored to be a firm shoulder to lean on in our clients’ most uncertain and challenging days, and we are always pleased to them emerge from a family law case with a fresh and positive outlook for the future. Initial consultations are important in family law. For the attorney, you get an opportunity to meet the person, determine their needs, goals, and interests. You learn about the facts and issues in their case, and you begin to develop a relationship. For the potential client, it’s an opportunity to interview your potential attorney, get answers to questions, and to learn about your legal rights and responsibilities. We want you to feel comfortable about your first meeting before you even walk in the door. Although your first meeting might vary a little depending on your needs and the details of your case, here is a general idea of what will happen when we first sit down with you. We begin by gathering information about you, your family, and your assets and debts. This is accomplished by a face-to-face interview and completion of a questionnaire that will be emailed to you before the first meeting. We ask that you fill out the questionnaire as best you are able and to bring it to the first meeting to help give us the information we need to discuss your case and potential issues. By identifying your goals and concerns early on, we can ensure that your initial conference is productive by taking the first steps in your case. From the very first meeting, we begin laying the foundation of your case’s strategy. Part of the initial consultation process is as an information gathering session. Anything you can provide will give us a better understanding of the issues in your case. However, you shouldn’t feel the need to spend a significant amount of time obtaining and gathering documents prior to the first meeting. Depending on the level of detail you provide, we can even run a few preliminary numbers to give you an idea of what you might expect in terms of child support, alimony, and the distribution of your assets and debts. At this stage, this is likely to be a very general discussion, but clients usually leave our office feeling a bit more at ease, and with real answers from an experienced Tampa divorce lawyer like Blair Chan. 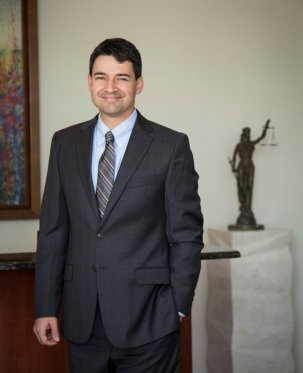 Blair Chan is Board Certified in Marital and Family Law by the Florida Bar—a distinction he earned only after years of practice both in and out of the courtroom, maintaining exemplary standards of ethics and professionalism, along with written examination of his knowledge of the law, and earning high reviews from his peers and the judges in the community. We strive to provide all of our clients with outstanding, honest and ethical legal representation. We have a proven track record of success and look forward to working with you to pursue your goals and interests. You have a lot of options when it comes to choosing a family law attorney. Your case is too important to entrust to just anyone. We invite you to contact us to learn more about our unique and successful approach to family law. Looking for a Better Way to Divorce? If you have just decided to end your marriage, then you may have heard nothing but horror stories about divorce. From friends to work colleagues, it seems everyone has an opinion on the process and what to expect. A divorce will obviously change your life, but there is no reason why it has to destroy everything you have worked for – including how you interact with your spouse. If you have children, you want to make sure you can continue to parent them in a positive and constructive way. At the same time, you don’t want to compromise your interest in the assets you share with your spouse. If you think you’re in for a nightmare, our experienced Tampa divorce lawyer is here to help, and to assure you that we will make the process as quick and as painless as possible. Although we understand this may be one of the most difficult times of your life, and that is why we offer solutions that can eliminate strife, cost, and conflict. Through uncontested and collaborative divorce, we help clients work through the process fairly and efficiently. Our skilled Tampa divorce attorney also assists clients and their families with high-asset matters and contested cases. Many individuals believe that prenuptial agreements are only for wealthy couples. The truth is that prenuptial or premarital agreements serve a variety of purposes. Certainly, high net worth couples can benefit from these arrangements, but so can those whose marriage involves a closely held business or professional practice. Further, if there are expected inheritances or gifts from family, these agreements can be used to protect these funds as well. Similarly, it is not uncommon for many people to enter into second marriages today. In such cases, a prenuptial agreement can help to protect the property rights of children from a prior marriage as well as the assets you are bringing. It is important to note that Florida is an equitable distribution state when it comes to dividing marital property. By presumption, everything that is determined to be marital would be split equally. If there are assets that are non-marital, it is up to the party that believes them to be non-marital to provide proof. By having a prenuptial agreement in place, a couple has more control over whether assets are considered marital or non-marital, as well as deciding upon dividing their property, rather than being bound by a judge’s decision. Further, a prenuptial agreement is, realistically, the only way to prevent or limit issues of alimony or spousal support in a dissolution of marriage case. For many couple contemplating marriage, having a discussion and decision in the beginning of the marriage can provide security for moving forward with the marital relationship by resolving this issue in advance of marriage. In Florida, board certification is the highest level of evaluation of an attorney’s competency and experience. The Florida Bar assesses an attorney’s experience, professionalism, and ethics before awarding this distinction. At Blair H. Chan III PLLC, we deliver superior legal services backed by years of experience both in and out of the courtroom. Blair Chan is Board Certified in Marital and Family Law by the Florida Bar. 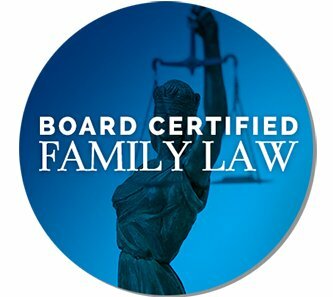 Only attorneys who achieve and are awarded Board Certification in Marital and Family Law may hold themselves as experts or specialists in family law. Mr. Chan has earned Board Certification in Marital and Family Law and is an acknowledged expert in his field. You Have Questions. Get Answers from a Tampa Divorce Lawyer Today. With an experienced Tampa divorce lawyer on your side, you can make smart, informed decisions about your next steps. Your future is too important to leave to chance. If you are looking for a positive and clear way forward, then we have the answers and help you need. Call our Tampa divorce lawyer today to schedule your initial consultation at 813-280-5301. We strive to deliver superior legal services with a focus on identifying and promoting our client’s best interest, with an economical and common sense based approach. Our mission is to help you through difficult times and empower you to take control of your life and the legal process.